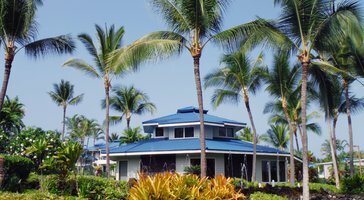 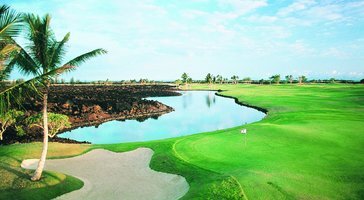 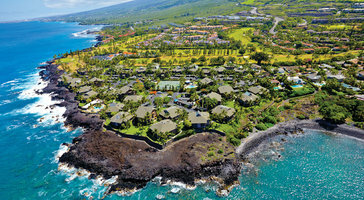 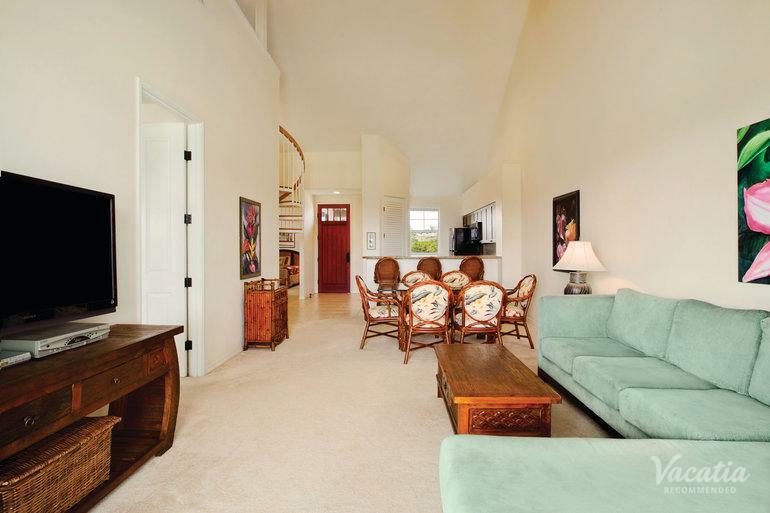 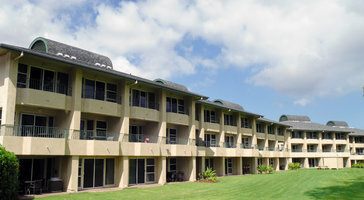 Two-bedroom, two-bath golf view loft vacation rentals at Fairway Villas Waikoloa by Outrigger are perfect for groups of 7. 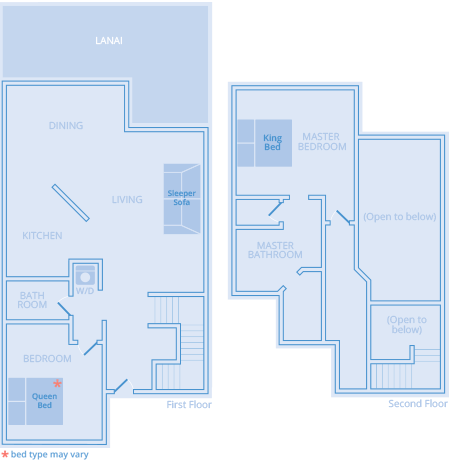 Floor plans flow onto broad patios that welcome in the gentle ocean breezes. 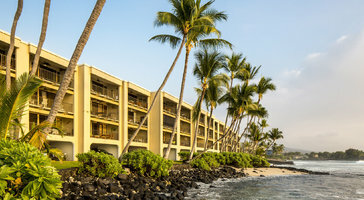 If you're traveling with kids, the luxury of your own bedroom gives you an amazing place on vacation.